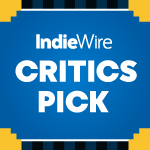 Berlin: A gay man in Guatemala is forced to choose between faith and family in this extraordinary drama from "Ixcanul" director Jayro Bustamante. The Guatemalan drama begins where a previous iteration of this drama might have left off. Rather than argue for the hero’s basic humanity (which the film’s contemporary liberal audiences wouldn’t dare to dispute, and its devoutly retrograde antagonists wouldn’t deign to accept), Bustamante moves the goalposts forward by reframing the stakes. There’s never any doubt that Pablo has the right to be with the man he loves, the question is whether the happiness that would bring is worth the hurt that would come with it. And it’s a question that only Pablo can answer for himself. From its rain-drenched prologue to its pensive final shot, “Tremors” explores whether self-identity is more legibly defined by what people are, or what they are not. Must we shed our sins in order to inch closer to the impossible divine, or can the pursuit of purity be an additive process? Is the fear of loss more profound than the search for love? For those living in the embrace of the evangelical Christian community in a country where homosexuality is legal, but sexually motivated hate crimes are tolerated by the government, it’s clear that achieving manhood is an act of total negation: Being a man requires only that someone not be a woman, nor a child, nor a homosexual. But if Pablo is just the sum total of all the things that he’s not, how can he be expected to think of himself as anything at all? Pablo’s young children are more than a little confused by the sight of their dad swaddling himself in blankets and mewling like a baby. Like a fault line beneath the earth, his truth has always been there, and at one point the ground actually quakes while his family tries to make sense of the news. It’s just a few natural tremors — not an attack from the giant sand monsters evoked by the film’s title — but they’re strong enough to dislodge every part of Pablo’s life. He won’t have long to indulge in his new happiness. Bustamante, whose “Ixcanul” displayed an intuitive understanding of characters who don’t share whatever hopes society has for them, is quick to complicate Pablo’s freedom; each scene of cathartic joy is counterbalanced by one of deep-seated pain. A relaxed night at a gay bar with Francisco — and our first look inside the new apartment they’ll share together — is undone by an agonized visit from Pablo’s wife, who contains her anger until she notices a second toothbrush by the sink in the bathroom. From there, “Tremors” surprisingly devotes as much time and attention to those affected by Pablo’s revelation as it does to Pablo himself. The man’s lifelong nanny (“Ixcanul” alum Maria Telon) shares a meal with his new lover. His desperate wife listens to self-help tapes for women with unfaithful husbands. 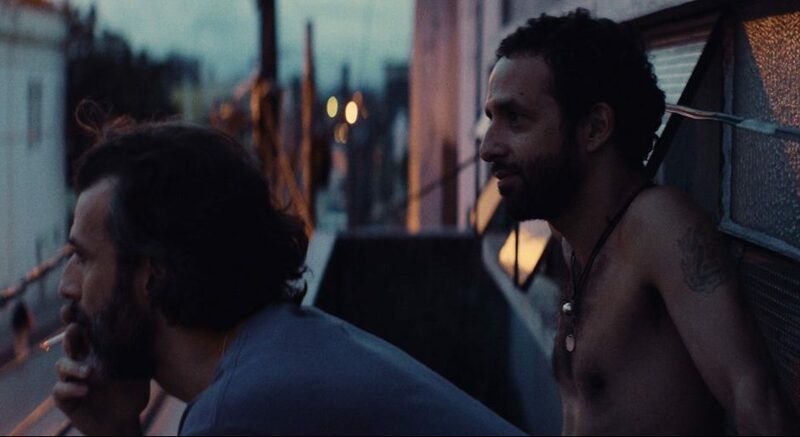 Like a submarine using depth charges to locate an enemy’s position, Bustamante’s locks in on the heart of Pablo’s crisis by detailing all of its collateral implications; the scenes without him in it do as much to color his inner conflict as the ones in which he’s front and center, and the decisions he makes resonate in every direction. Viewers aren’t asked to sympathize with the other members of Pablo’s family or their regressive beliefs — almost impossible once his parents conflate homosexuality with pedophilia and get their son fired from his job and banned from his kids’ school — so much as we’re made to appreciate how fundamentally the news has shaken them, while Luis Armando Arteaga’s crisp and desaturated photography imbues these scenes with the blue ruin of a fresh bruise. All of this, inevitably, stems from the church, which proves a venue for some of the film’s most crucial and difficult scenes. As maddening as it is to hear the hypocrisy — the same charismatic pastor who declares that “love endures all” later conscribes Pablo into her militaristic conversion program — it’s even more upsetting to see the look on Pablo’s face as people lay their hands on him and try to pray the gay away. He’s desperate for God’s love, the redemption it promises, and the community that comes with it. 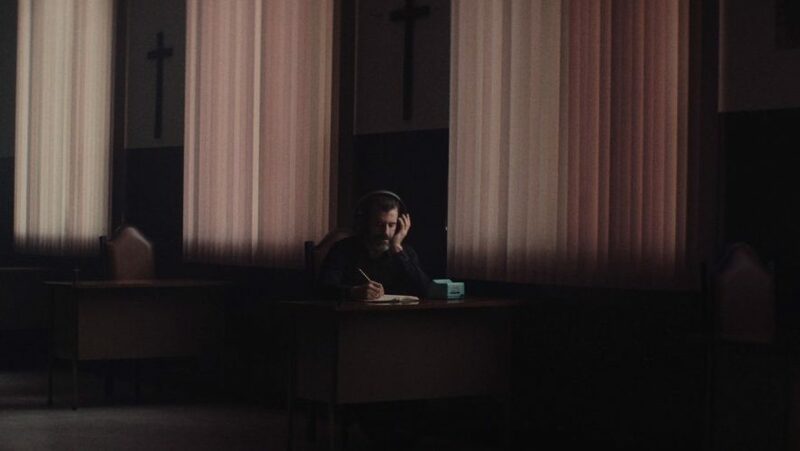 The film becomes a veritable hostage crisis for his mortal soul, as lofty matters of sin and divinity crumble into a far more corporeal struggle between hurt and happiness. That trickles down to his children, who are woven into the subtext of every scene. In an expansive film that occasionally grows unfocused and misshapen in its busy second half, Pablo’s adorable kids are always there to bring things back to basics. Sometimes in the flesh, as they gossip amongst themselves about the supposed “disease” their daddy has, and whether it might contagious. More often they’re used as currency, or a score that Pablo keeps to himself. In the most agonizing moment of Bustamante’s young career, Francisco brings Pablo a video recording of his son and daughter sending him their love; instead of showing the footage, the camera holds on the man’s hollowed face as it fades in the fluorescent light of his partner’s cell phone. “What kind of man have I become?” he wonders, to abandon his family (or to do something that would lead his family to abandon him)? Is humanism itself an irredeemable sin? Even in its stillest moments, “Tremors” shudders with the full weight of its spiritual uncertainty. While gripping enough throughout, it’s not a particularly flashy piece of work, or one that seeks to making any sweeping pronouncements about the lives of gay men in Guatemala City or anywhere else. It’s neither an emotional powerhouse, nor a visual wonder. If Bustamante’s lucid second feature makes it feel as though the world itself is trembling beneath your feet, it’s because this mercilessly grounded film keys into the devilishness of Pablo’s dilemma: Forcing him to choose between himself and his family is the only way to guarantee that he ultimately loses both. “Tremors” premiered at the 2019 Berlin International Film Festival. It is currently seeking U.S. distribution.